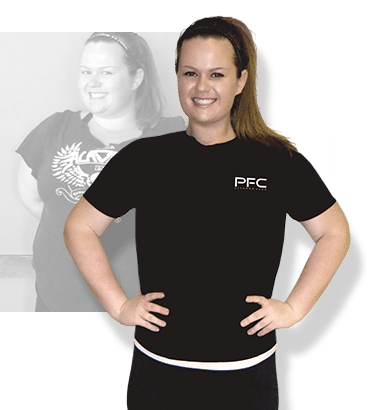 PFC Fitness Camp offers a truly comprehensive approach clinically proven to deliver long-term weight loss results to help fight obesity. By integrating three key pillars of optimal health: behavior change, nutrition guidance and low-impact fitness training, our extreme weight loss program addresses every aspect of optimal health to ensure you lose significant weight while at camp and continue to achieve lifelong wellness through our at-home accountability program after you leave. It's our mission to provide you with the tools, skills, knowledge and accountability to make healthy choices for life. It's that simple. That's why when you come to PFC Fitness Camp you should expect to have great results. And by results we don't mean just in the short-term, we mean for life. Our program is about lifestyle change, powered by the nation's top health experts to ensure you develop the right habits to meet your goals and live a meaningful, healthy and happy life. Working alongside the world's foremost nutritionist to today's top athletes, PFC partnered with Randall R. Grant of Divine Nature to help demystify your digestive woes, improve nutritional absorption, metabolism of food and aid in weight loss goals. All PFC packages include a one-on-one health evaluation for a comprehensive look at current eating habits and existing digestive or health issues followed by a personalized health plan. When you come to PFC Fitness you enjoy the benefit of having each of your meals prepared for you by the culinary experts at Omni La Costa Resort & Spa. Recipes are created just for our camp using the freshest foods and ingredients - all perfectly portioned to help you manage your daily caloric intake with ease. Best of all, you'll go home with the recipes and hands-on training to know how to replicate the meals at home. Your experience at PFC Fitness Camp doesn't end when you say goodbye. With our at-home accountability program, you'll have a weekly piece of PFC with you to encourage and provide helpful tips from your PFC coaches as you transition back to your new, healthy routine. As part of a comprehensive medical evaluation, you also have the option to participate in a cutting-edge DEXA body composition scan. DEXA (Dual Energy X-Ray Absorptiometry) scans are the "gold standard" technique for detecting osteoporosis, measuring bone density and body fat. The DEXA scan is ideal for anyone interested in an accurate measurement of their bone, muscle and fat mass to identify before and after bone health. Dexa scan available for additional fee.